Painting wax is one genre of fine art since 1600's, many famous painters use crayons to draw their pictures, it dries fast and suitable for children to learn wax crayon painting, all art for sale here can be painted as art with wax. 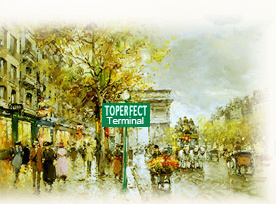 Toperfect, the terminal to your hard journey of searching for crayon drawing! Toperfect Art supplies techniques besides canvas art for sale, it is useful for painters and art fans. Our online wax painting gallery not only supplies reproduction, but also sell original crayon drawings for kids. 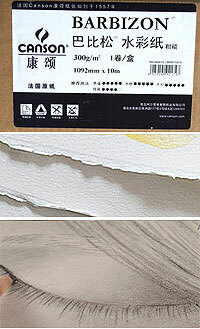 The artists in Toperfect manufacturer are good at famous painting with wax and other beautiful crayon art wholesale. -- Author: Lewis L., Toperfect Director. To buy crayon painting supplies, please check Toperfect Catalogue to select painting and choose painting type as "Watercolor, wax crayon, gouache, pastel", then email us that you want it as painting wax. Most painting suppliers use cheap even bad materials for painting business in order to chase cut-throat competition and catch profit. But Toperfect Art is distinctive. For crayon paintings we use materials in high quality including French Barbizon wax crayon paper, branded "Canson", and certified wax crayons, which is guarantee to get elegant artistic results and hundred years to collect carefully. Crayon is pronounced as ˈkreɪ.ɒn , ˈkreɪ.ən , or ˈkræn as American pronunciation, is used since 1644 origin of the French word craie (chalk) and the Latin word creta (Earth). It's a stick of colored wax, charcoal, chalk, or other materials together to get dozens of colors, has been used for writing, painting and drawing. A crayon made of oiled chalk is called "oil pastel"; when made of pigment with a dry binder is called "pastel"; both are popular media for color artwork. Wax Crayons is combination of pigment and wax and has history of thousands of years. The Egyptians perfected a technique as encaustic painting, and employed by the Romans, the Greeks and even indigenous people in the Philippines around 1600-1800. But it was not as popular as today, as a media to draw wax crayon art. Wax Crayon painting is one kind of color artwork with crayons drawn on paper, canvas or board. Wax Crayon is not permeable and fixed on the painting surface so that can't be used to draw on glossy paper and board panels, also can't make colors overlay at all. But crayon drawing may achieve vivid, bright and strong artistic effect though skilled techniques such as impasto, lightly rubbing and adjusting color phases. And wax painting for kids is easy to work with the strength of stroke, not messy, blunt, non-toxic, very inexpensive, and available in a wide variety of colors. So it's used to in a classroom for painters. 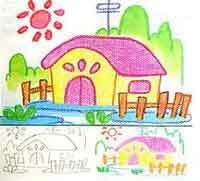 What's more, crayon painting has special infantine artistic results, is suitable crafts for children. Encaustics, is the name of the antique skills originate from Europe to draw a wax crayon art. Some Romantic painters tried to master wax crayon as media in their paintings. The best known crayon painters are Picasso, Antoine Watteau and Jean-François Millet, Sweden painter Arnold Bocklin (1827-1901) painted many famous wax art such as "Island of Death".